Mijn naam is Jiroh. Oren Jiroh. Dit is een artikel dat gekopieerd werd uit mijn oude blog. Toen schreef ik nog uitsluitend in het Engels. 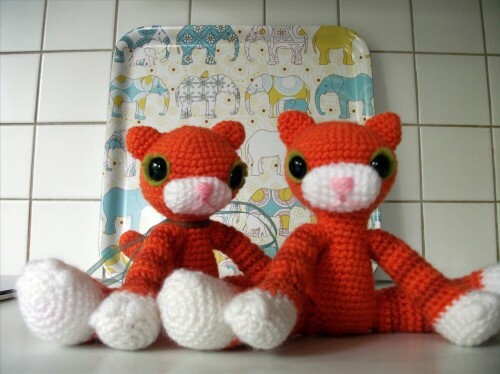 I liked my Kitty Orange so much, that I find it difficult to separate with it. 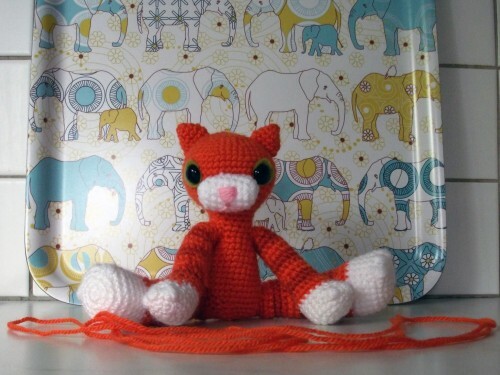 So, with the left over orange yarn I made a second kitty. Note: orenji is Japanese for orange. 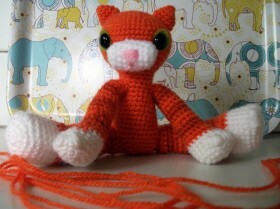 I almost thought I wouldn’t have enough of the main orange coloured yarn to finish him. But I managed, having somewhat to spare as well. The thread of orange in the pictures is what I had left. 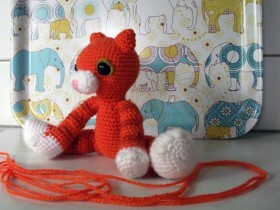 I’m going to give Kitty Orange to my godmother today, if the weather permits. I feel a little weird by going, as it’s my birthday today and it’s always weird to visit someone on your birthday. It’s like the only reason you’re going is to get something back. BUT, I do hope my godmother knows that’s not at all the reason why I visit. I visit often, so it’s not like she doesn’t see me except on special occasions… Still, it’s a bit weird. And it doesn’t help that my mom told me it’s weird as well. Makes it feel double weird. My godmother’s grandchildren are there at the moment too. The last time I saw them, the girl, Undine, professed her love for Hello Kitty. 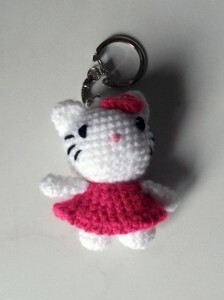 I made a small hello kitty some days ago, so I’ll give it to her when I see her today. I attached it to a keychain. And when you give something to the one child, you can’t leave out the other, so I made a keychain for the boy, Sigurd, as well. I don’t know what he likes, so I hope he likes penguins. 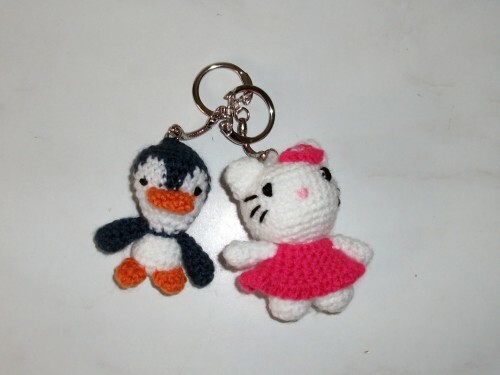 The pattern for the tiny Hello Kitty can be freely used from here. 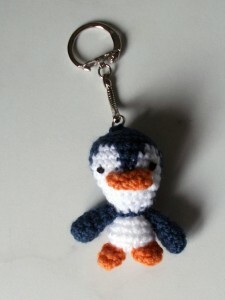 The tiny penguin strap is from Pierrot Yarns, downloadable here.